“Do you want to build a snowman??? 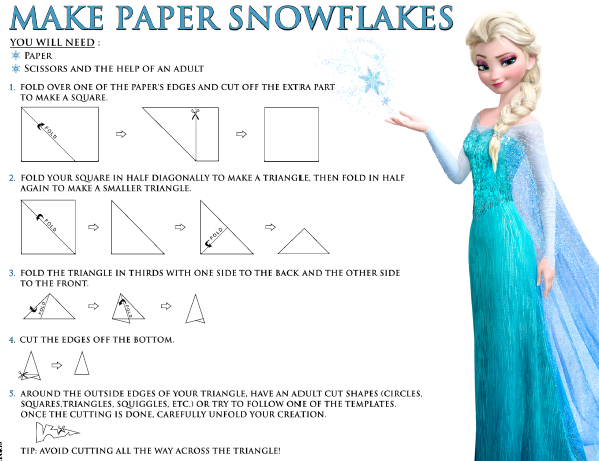 ?” To celebrate the release of Disney’s new animated feature, we have these really fun free Frozen printables and activities to share with your kids! 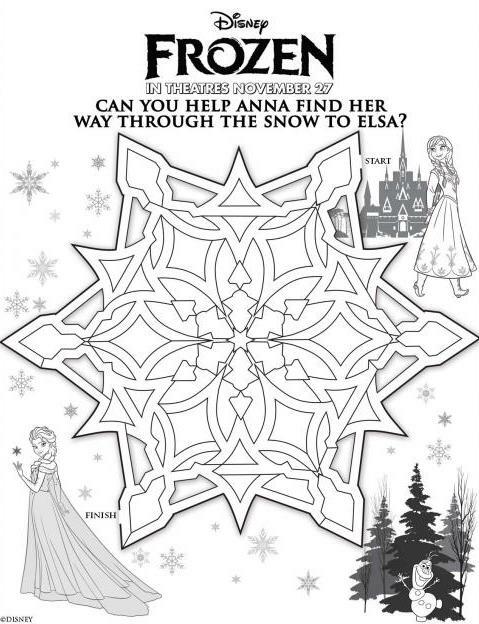 There are activities, games, and even a guide for making your own Frozen snowflakes. 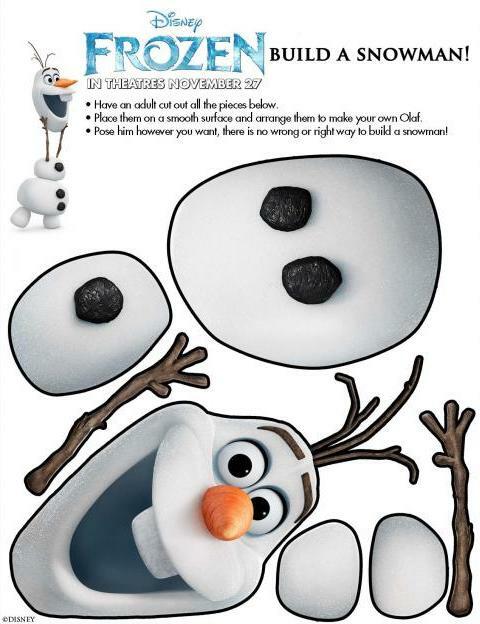 I predict building your own Olaf will be very popular. 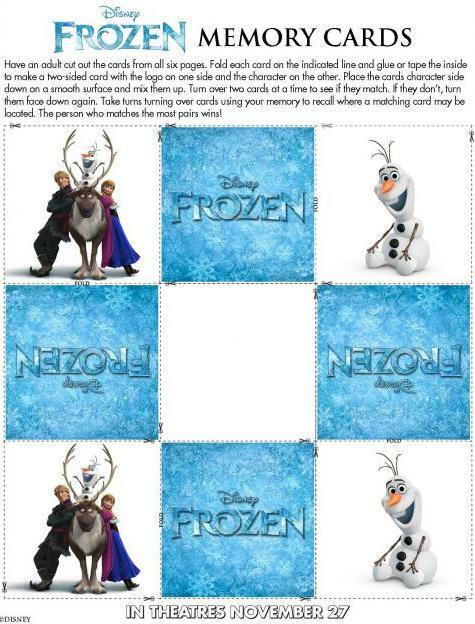 I hope you and your family enjoys these Frozen printables! To make a nose, simply cut a triangle out of orange construction paper. Walt Disney Animation Studios, the studio behind “Tangled” and “Wreck-It Ralph,” presents “Frozen,” a stunning big-screen comedy adventure. Fearless optimist Anna (voice of Kristen Bell) sets off on an epic journey—teaming up with rugged mountain man Kristoff (voice of Jonathan Groff) and his loyal reindeer Sven—to find her sister Elsa (voice of Idina Menzel), whose icy powers have trapped the kingdom of Arendelle in eternal winter. Encountering Everest-like conditions, mystical trolls and a hilarious snowman named Olaf (voice of Josh Gad), Anna and Kristoff battle the elements in a race to save the kingdom. 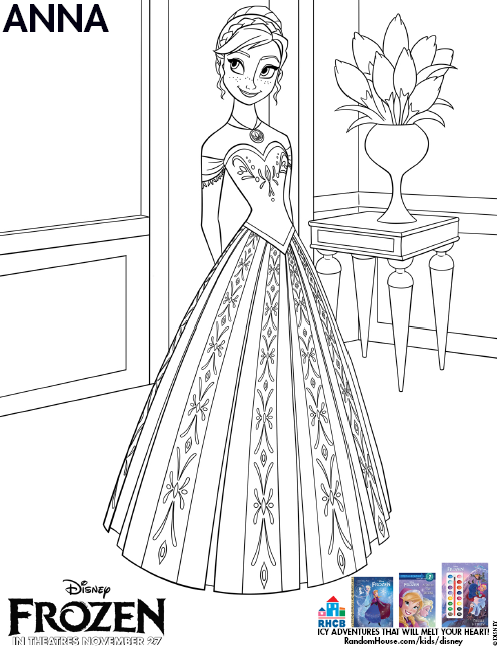 The film is directed by Chris Buck (“Tarzan,” “Surf’s Up”) and Jennifer Lee (screenwriter, “Wreck-It Ralph”), and produced by Peter Del Vecho (“Winnie the Pooh,” “The Princess and the Frog”). 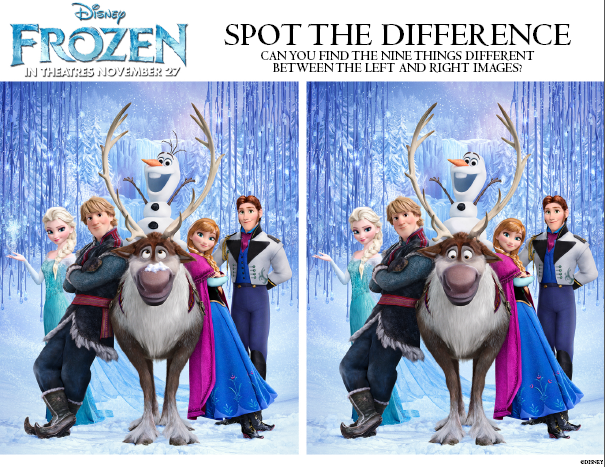 Featuring music from Tony® winner Robert Lopez (“The Book of Mormon,” “Avenue Q”) and Kristen Anderson-Lopez (“In Transit”), “Frozen” is in theaters in 3D on November 27, 2013.